All of Kylix's application development revolves around projects. When you create an application in Kylix you are creating a project. A project is a collection of files that make up an application. Some of these files are created at design time. Others are generated automatically when you compile the project source code. 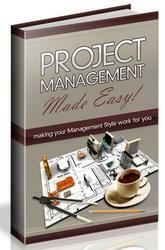 You can view the contents of a project in a project management tool called the Project Manager. 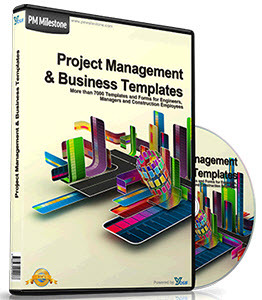 The Project Manager lists, in a hierarchical view, the unit names, the forms contained in the unit (if there is one), and shows the paths to the files in the project. Although you can edit many of these files directly, it is often easier and more reliable to use the visual tools in Kylix. At the top of the project hierarchy, is a group file. You can combine multiple projects into a project group. This allows you to open more than one project at a time in the Project Manager. Project groups let you organize and work on related projects, such as applications that function together or parts of a multi-tiered application. If you are only working on one project, you do not need a project group file to create an application. Project files, which describe individual projects, files, and associated options, have a .dpr extension. Project files contain directions for building an application or shared object. When you add and remove files using the Project Manager, the project file is updated. You specify project options using a Project Options dialog which has tabs for various aspects of your project such as forms, application, compiler. These project options are stored in the project file with the project. Units and forms are the basic building blocks of a Kylix application. A project can share any existing form and unit file including those that reside outside the project directory tree. This includes custom procedures and functions that have been written as standalone routines. If you add a shared file to a project, realize that the file is not copied into the current project directory; it remains in its current location. Adding the shared file to the current project registers the file name and path in the uses clause of the project file. Kylix automatically handles this as you add units to a project. When you compile a project, it does not matter where the files that make up the project reside. The compiler treats shared files the same as those created by the project itself.